Every seller wants to find a buyer for his property. But the key to achieving the best price is finding the best buyer, not just any buyer. So how does one achieve this? The first reality to accept is that there is only one pool of buyers. There is no such thing as a Harcourts buyer, or a Remax buyer, or a Seeff Buyer – they are just buyers. 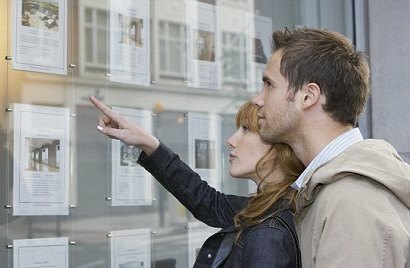 They don’t belong to anyone, and they are free agents in search of their ideal property. The second reality to accept is that buyers follow houses. That means that a buyer will contact the listing agent to view a property. Sure, a buyer may feel comfortable working with a certain agent, and ask the agent to find them suitable properties. But if that agent is not able to get them to view a certain listing, then the buyer will contact the listing agent directly to view it. Fact. The third reality to consider is that a buyer will only pay the maximum for a property when they have to. When do they have to? When they are competing against another buyer for the same property – and that’s called buyer competition. The fourth reality is that the only way to create buyer competition is to really market your property well. It simply does not work when you sit back and wait for the odd buyer to find your listing. There is no pressure on a buyer to then make their best offer. Some sellers’ may be concerned that, when they give a sole mandate to a single real estate company, they may lose out on buyers that other companies work with. This simply is not the case. A sole mandate is the only way to ensure your property is aggressively marketed to attract buyers – as long as your agent has created a written marketing plan for you. Buyers will see the marketing and they will contact the listing agent. In addition to this, in the event that any buyer could have missed the marketing, most agents will (after an initial period) open the listing to other agents to bring through buyers. In such a case the listing agent will share a portion of their fee with the other agent, costing the seller no more than the fee agreed to in the sole mandate. When it comes to sharing a fee some companies share 50/50 with the other agency, and some share 60/40. In other areas this could even change to 80/20 – with the higher portion being for the listing agency. Why is this? The cost of marketing a property properly is significant, and critical to attracting buyers and creating buyer competition to achieve a seller the best price. It simply would not be viable for many companies on a 50/50 split given their strong marketing. An agent working with a buyer will introduce the buyer on this basis, especially if the property is being well marketed, as the buyer will otherwise contact the listing agent directly resulting in them earning nothing. Market well. The buyers will see the advertising and respond with their best offer.